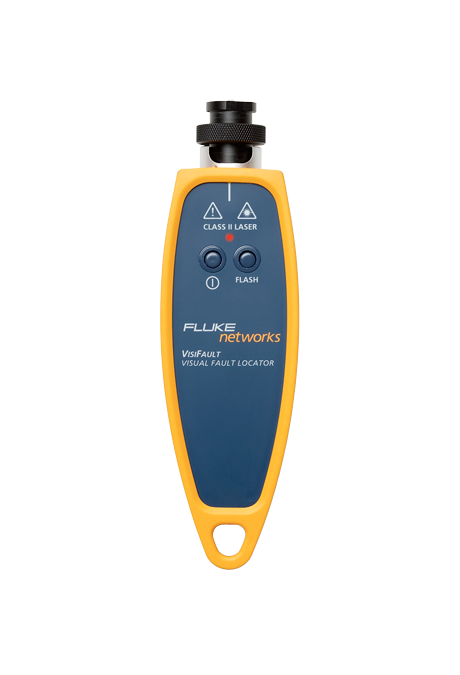 Two second autofocus reduces inspection time and keeps your other hand free. 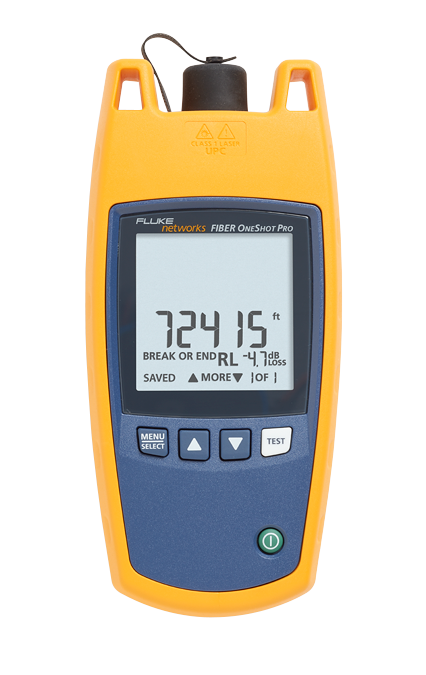 PortBright is like having a built in flash-light so you can see in dark areas and dense panels. 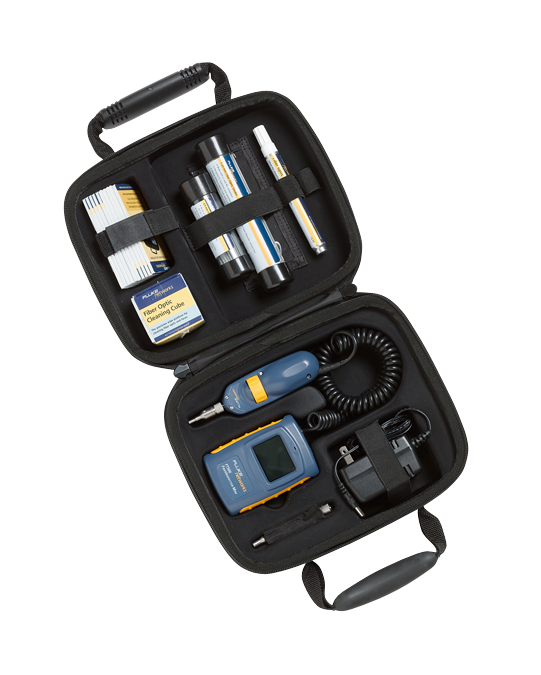 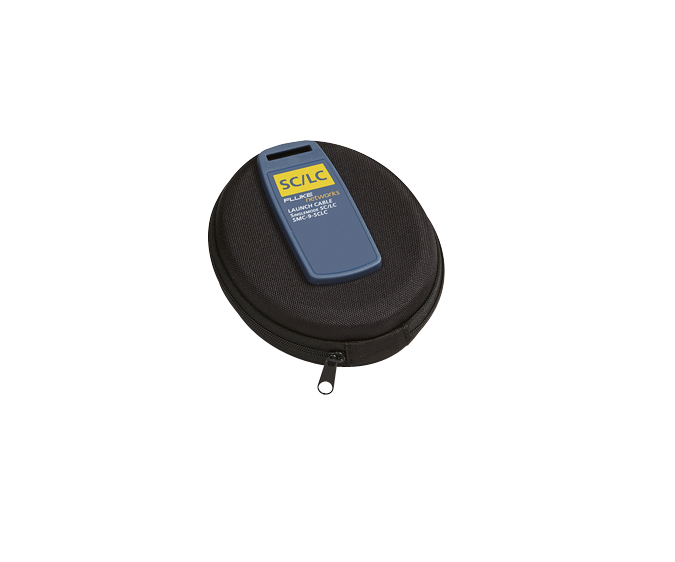 FI-500 FI-500 FiberInspector Micro and Cleaning Kit – FI-500 auto focus probe and display, 4 UPC tips (1.25 mm, 2.50 mm, SL, LC), case, rechargeable batteries and universal power adapter. 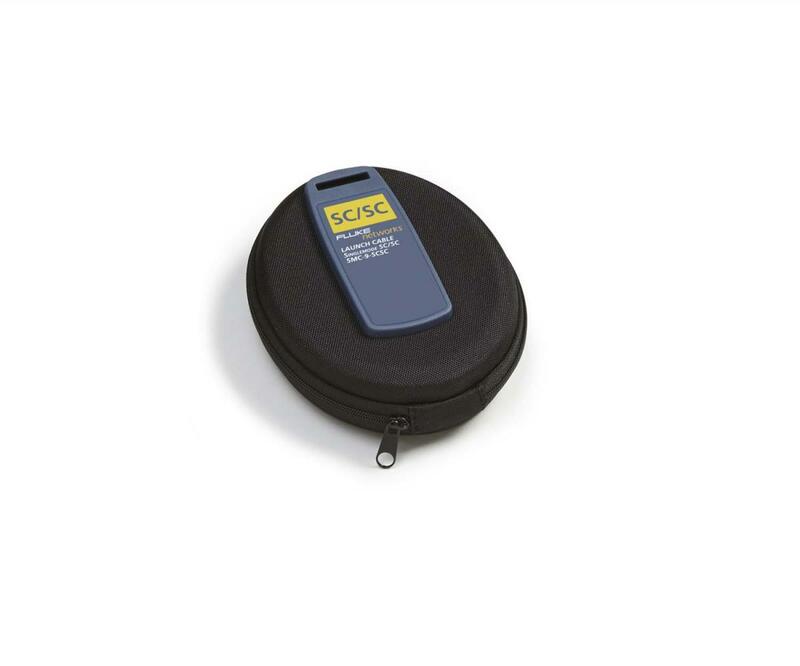 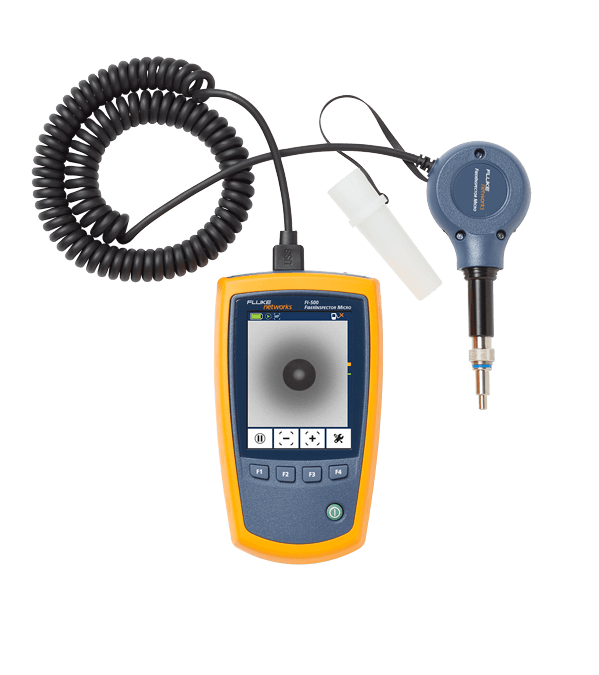 For more information about FiberInspector™ Micro Fiber Inspection Scope, click here. 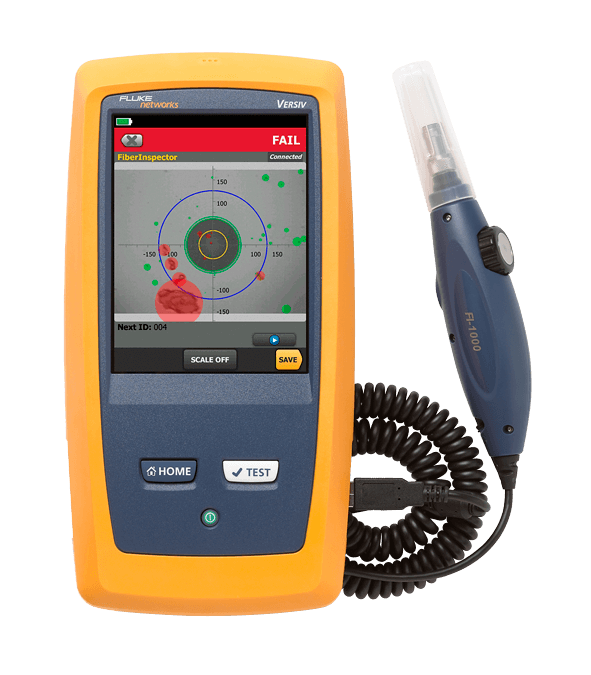 For more information about VisiFault™ Visual Fault Locator, click here. 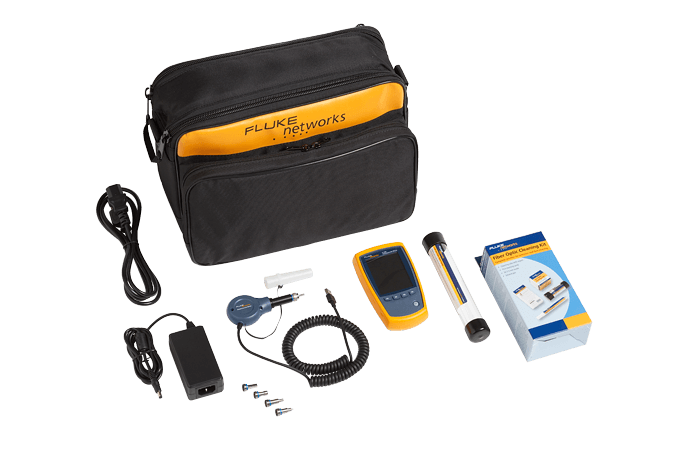 FQM-KIT Fiber QuickMap mainframe with SC/LC 50 µm Launch Fiber and carrying pouch. 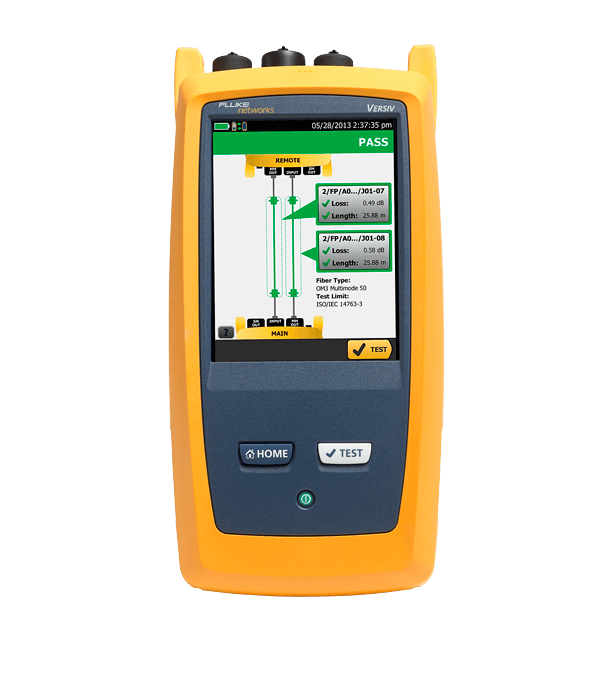 For more information about Fiber QuickMap™, click here. 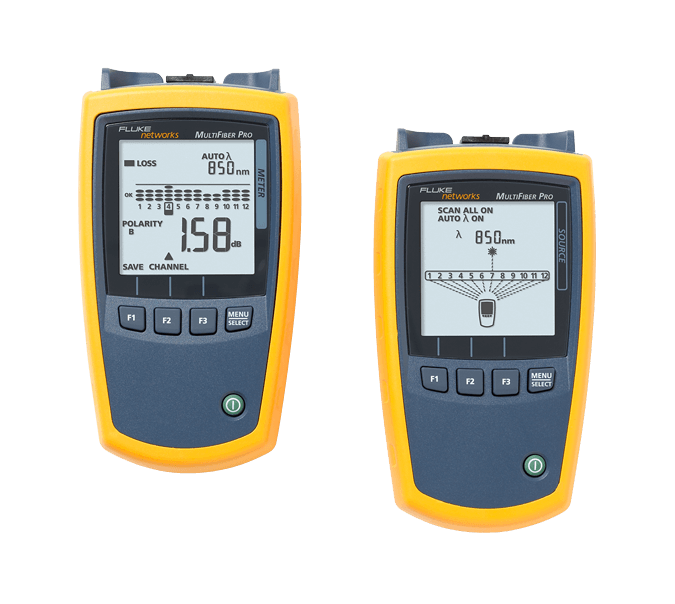 For more information about Fiber OneShot™ PRO, click here. 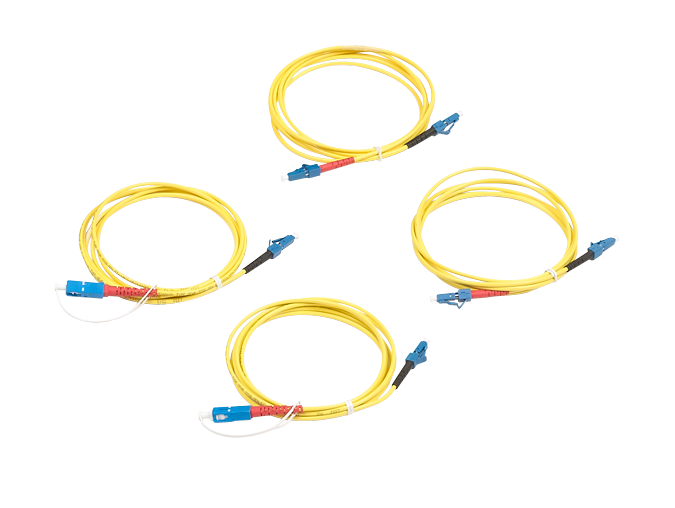 Test reference cords (TRCs) are used for certifying cabling systems in accordance with standards. 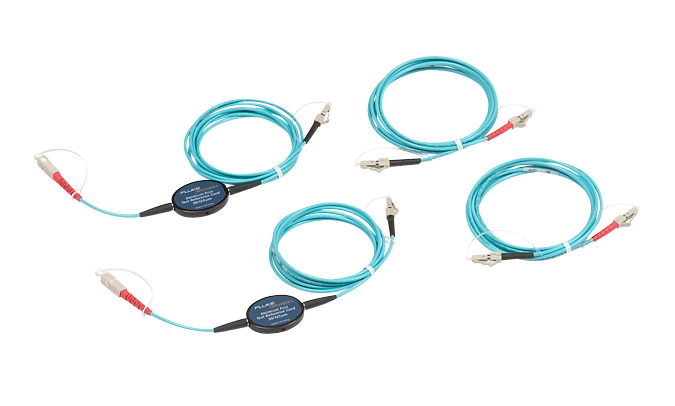 They are different than fiber optic patch cords used for normal day to day patching. 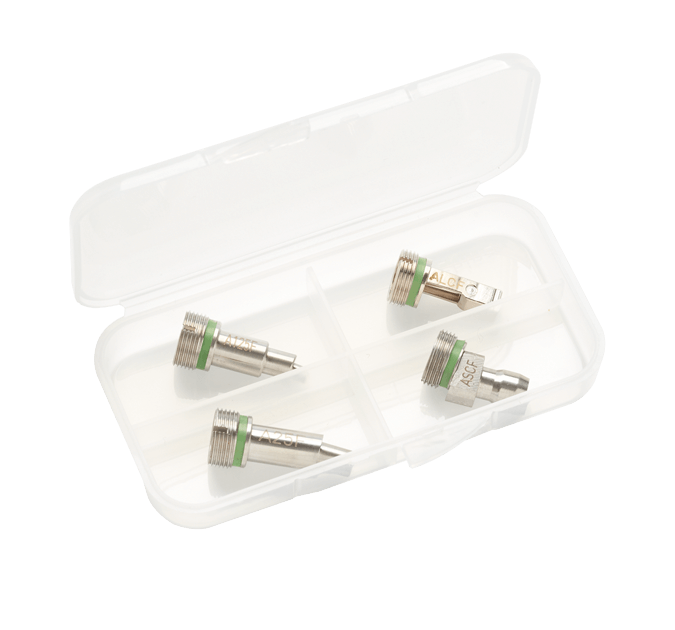 Terminated with reference grade connectors. 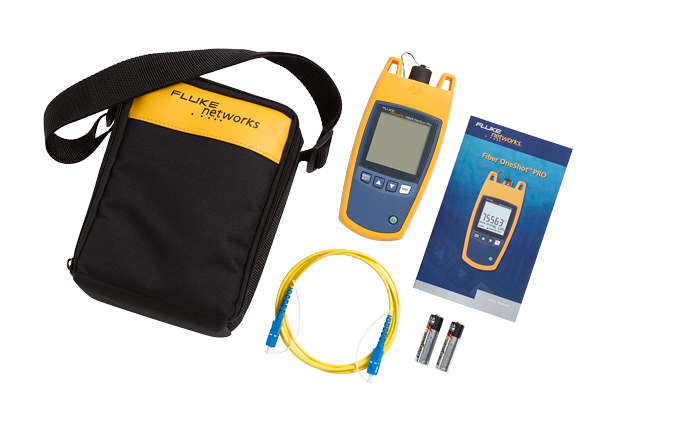 For more information about Fiber Test Reference Cords, click here. 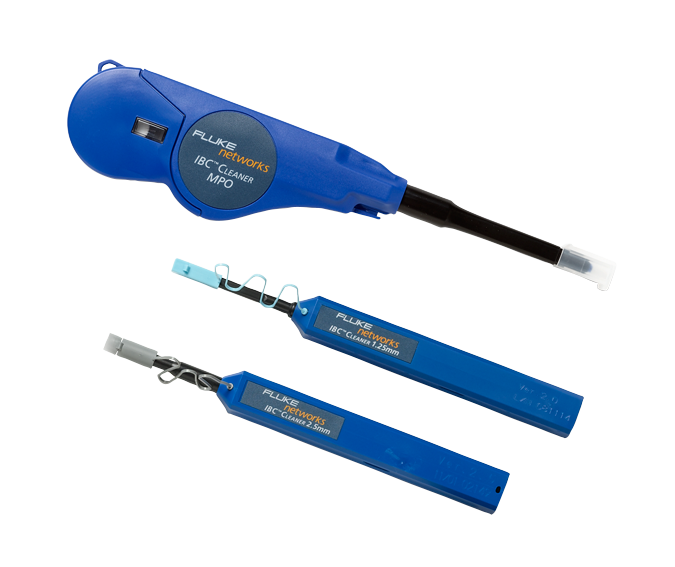 Launch & tail cables are designed to be used in conjunction with an OTDR to characterize a fiber link. 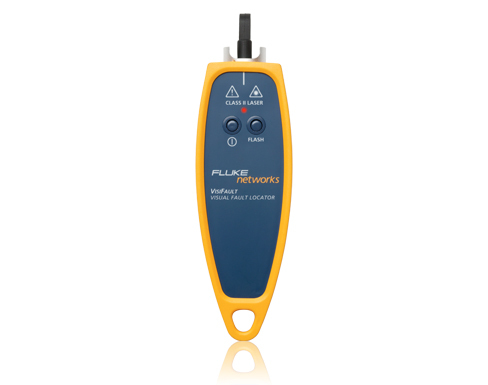 A launch cable should be used between the OTDR’s port and the link under test to allow the characterization of the first connector. 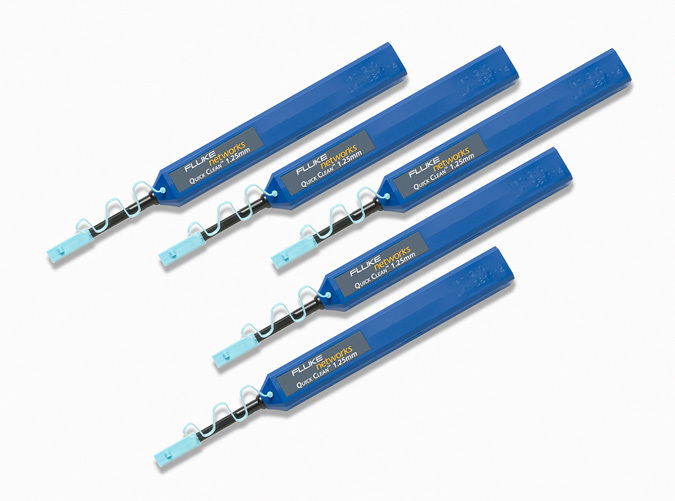 A tail cable should be used at the far-end of the link to allow the characterization of the far-end connection. 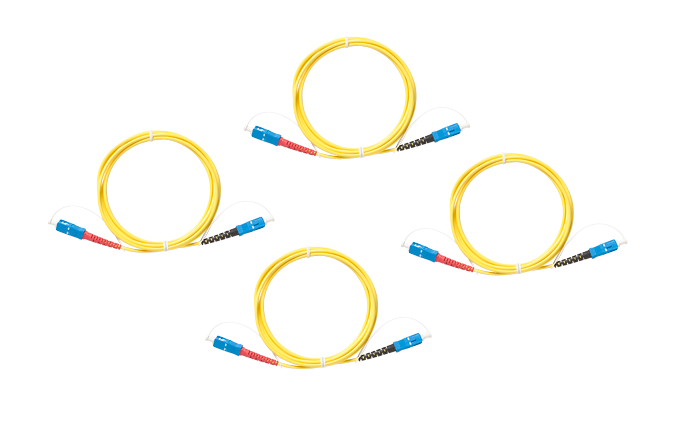 For more information about Fiber Launch Cables, click here. 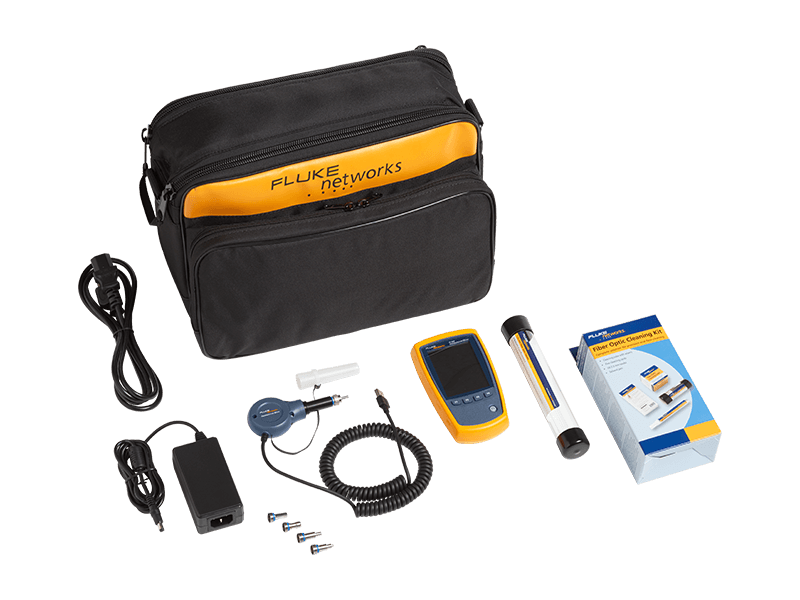 FI-7000 FiberInspector Pro kit – includes a Versiv mainframe, USB inspection camera and 4 tips in a box for inspecting LC and FC/SC bulkhead; 1.25 and 2.5mm universal tips for inspecting end-faces. 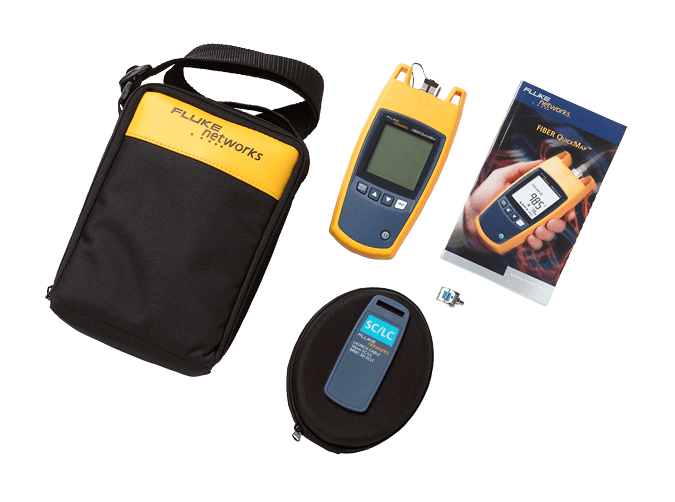 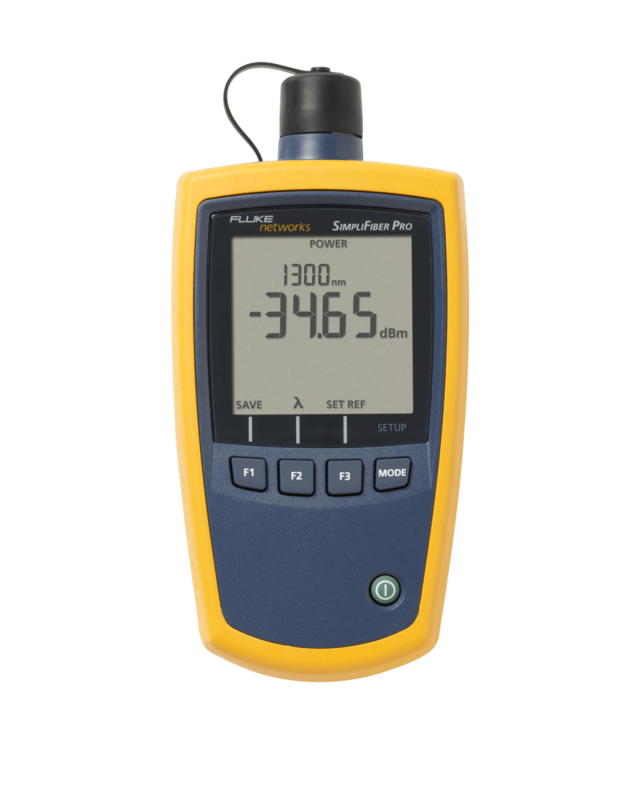 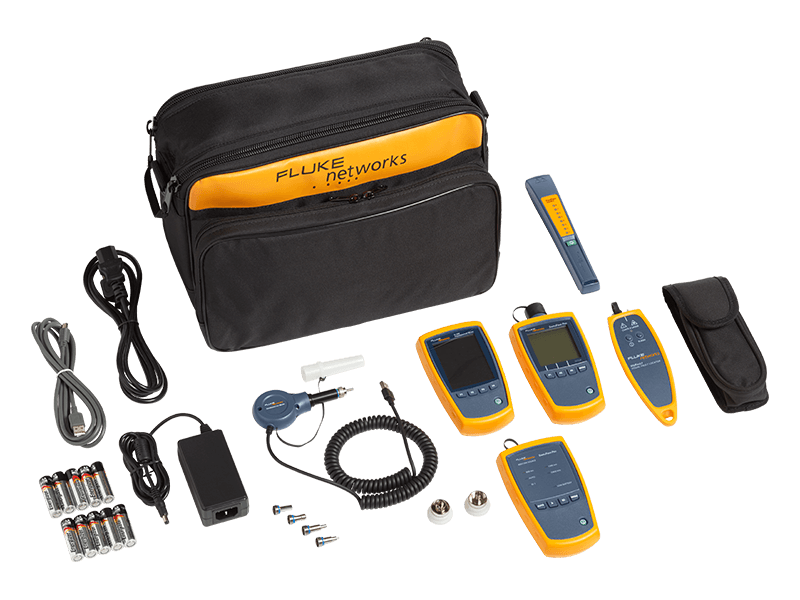 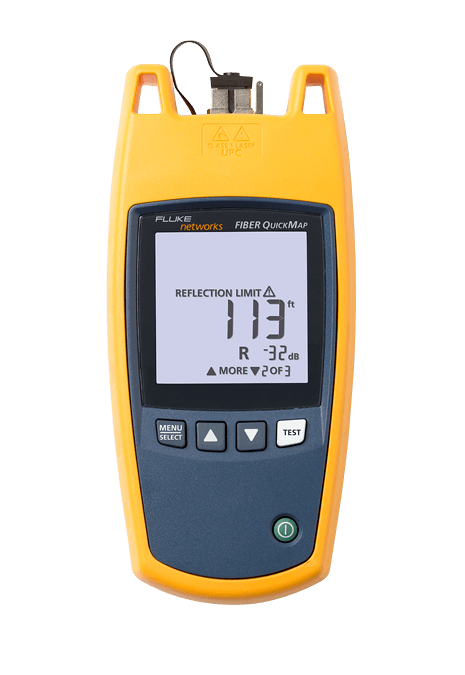 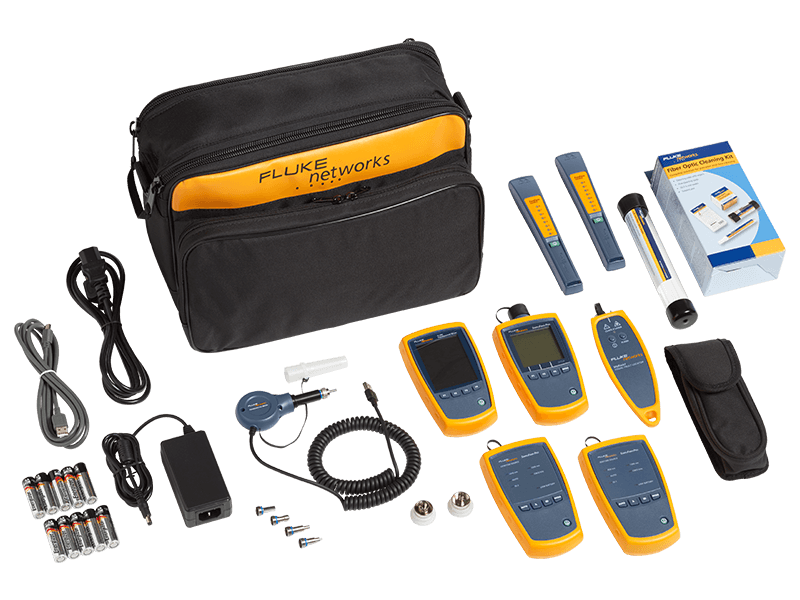 For more information about FI-7000 FiberInspector™ Pro, click here. 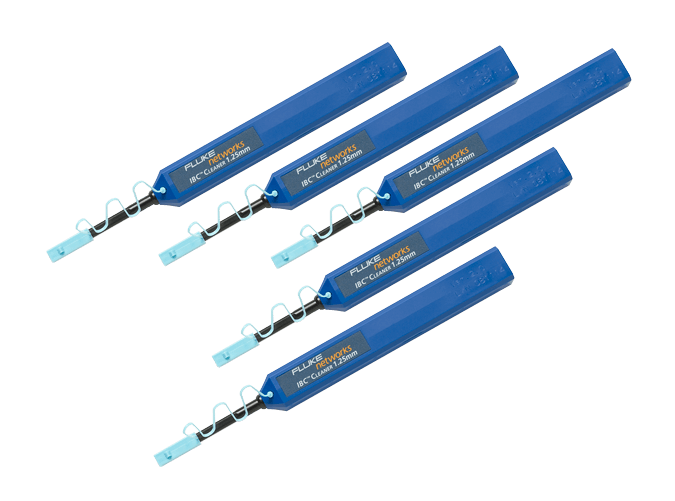 Quick Clean Cleaners – easy to use and cleans both fiber end-faces and ports! 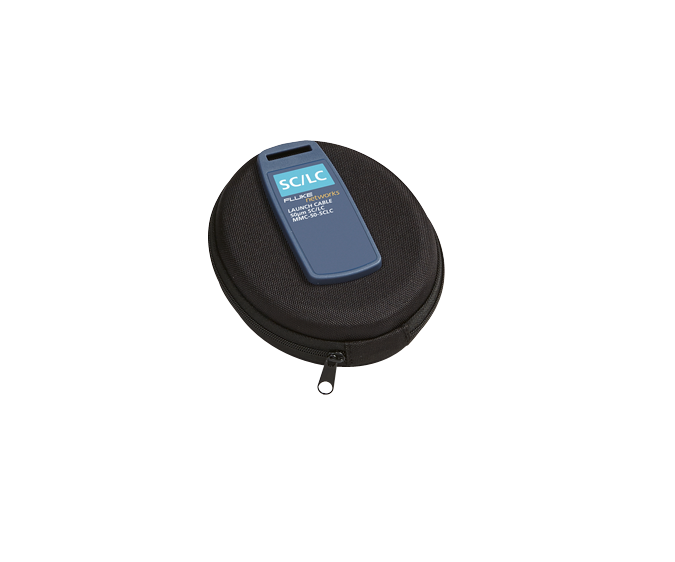 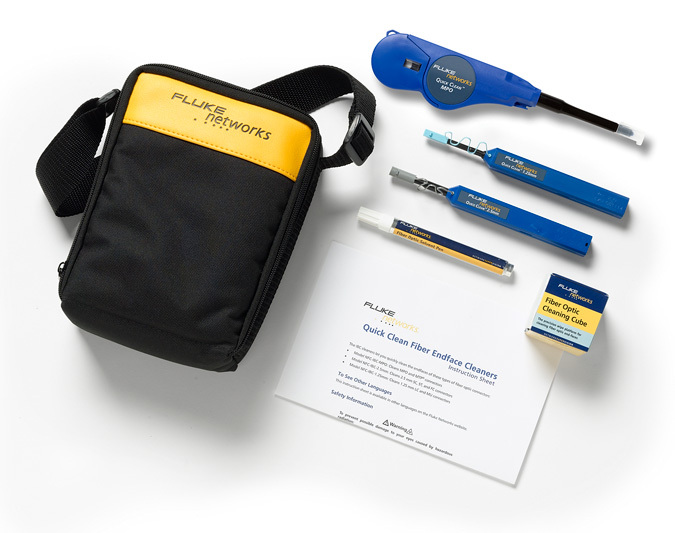 For more information about Fiber Optic Cleaning Kits, click here. 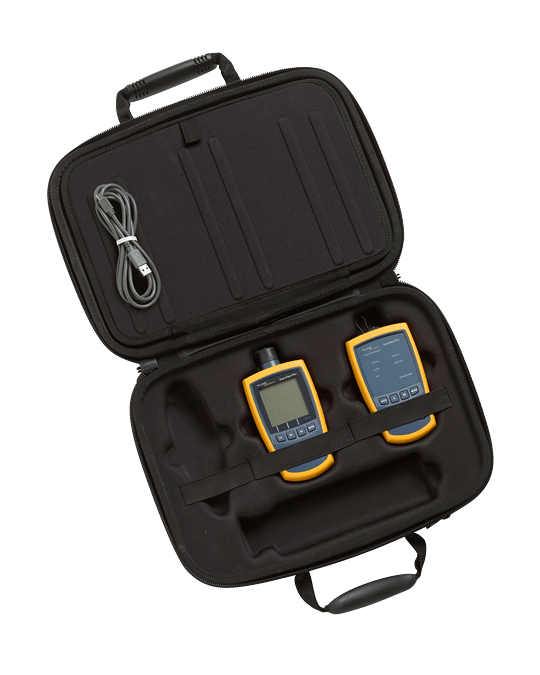 Fiber-loss tester with advanced time-saving features. 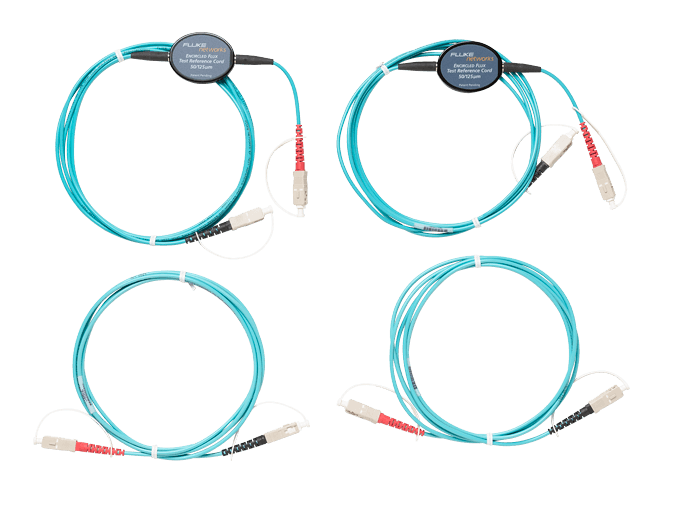 Multiple kit configurations with light sources for single mode, multimode and PON fiber optics. 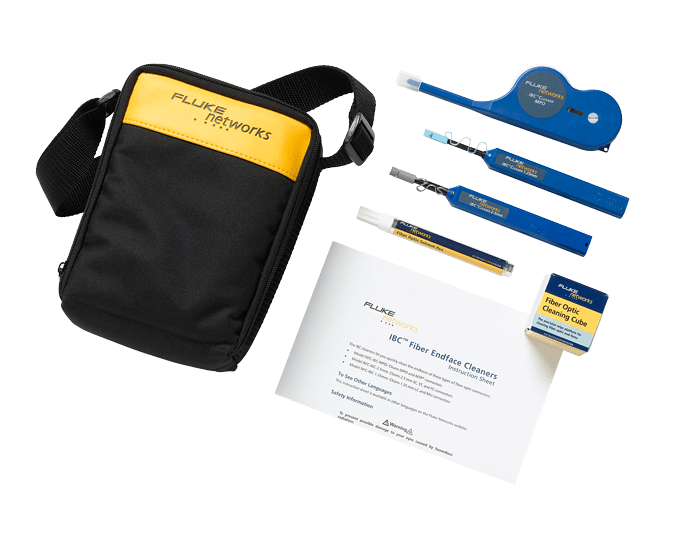 For more information about SimpliFiber® Pro Optical Power Meter and Fiber Test Kits, click here.